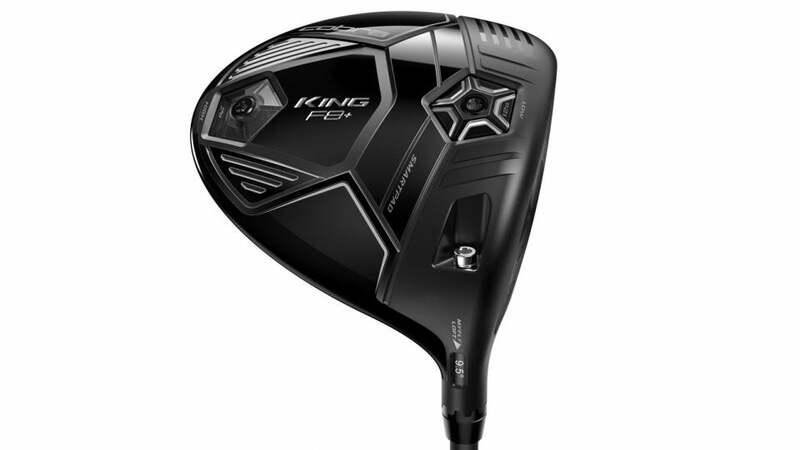 Front and back CG settings in the sole of the Cobra King F8+ driver provide enhanced trajectory and spin control. SPECS: Eight loft settings in half-degree increments from 8° to 11°, including three draw settings. Available with Aldila NV 2KXV Blue 60, Aldila NV 2KXV Green 65 or Project X HZRDUS Yellow 75 shafts. Comes in gray or black. RECOMMENDATION: Targets low- to mid-handicap golfers looking to marry shot shape and spin control with big distance. KEY TECHNOLOGIES: CNC milled face for tighter tolerances and consistency; Dual Roll face for optimal launch on off-center strikes; 360° Aero crown to lower the CG and reduce drag in the downswing; Cobra Connect. Cobra packed more technology into the F8+ than we can cover, starting with a machined circular pattern in the center of the face that not only saves weight but, according to Cobra, boosts ball speeds by as much as 1.6 mph over hand-polished models. With an improved carbon-fiber crown and a streamlined profile, the F8+ generates less drag—and a lower CG—than typical drivers. Tie that together with an adjustable hosel and moveable weights in the sole to tweak ball flight and a Tour-preferred head shape, and the F8+ is a high-tech tool for hard-swinging players. "Striking presentation that offers a versatile mix of max distance and forgiveness while still allowing for workability."